Owners of the Denver Post started the Floto Dog & Pony Show in 1902 and named it after a very popular sports writer and promoter for the Post, Otto Floto. 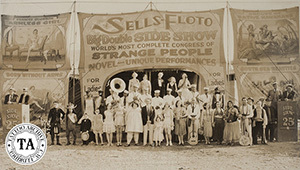 In 1906, Willie Sells was added to the staff and the show became known as the Sells Floto Show. The original Sells Brothers Circus was formed in 1872 and was one of the largest shows of what is now known as the "Golden Age of American Circus." 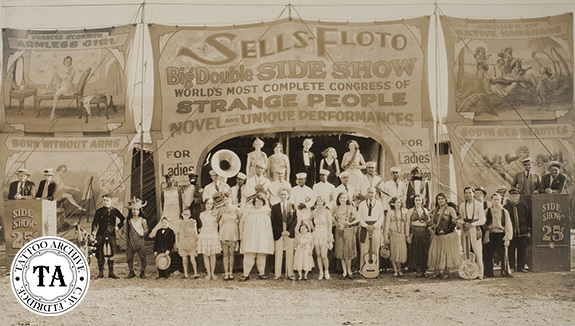 The Ringling Brothers owned the Sells title and as a result, in 1906 the Sells Floto show was sued and the court ordered Sells Floto not to use pictures of the original Sells brothers in their promotions. From 1914 to 1915, they used the name Sells Floto-Buffalo Bill Circus which featured Buffalo Bill Cody. From 1921 until 1929 the American Circus Corporation owned the show. This circus was the only competition to the Ringling's predominance on the American circus scene. The American Circus Corporation owned five other well-known circuses: Sells-Floto Circus, Hagenbeck-Wallace Circus, John Robinson Circus, Sparks Circus and Al. G. Barnes Circus. The corporation booked its Sells-Floto Circus into New York's Madison Square Garden, which Ringling regarded as his own domain. On the morning of September 10, 1929, out of the blue came the announcement that John Ringling had bought the five circuses being operated by the American Circus Corporation. Not since 1906, when the Ringling Bros. bought the Barnum & Bailey circus and title, was the amusement world so surprised by such a large circus deal. 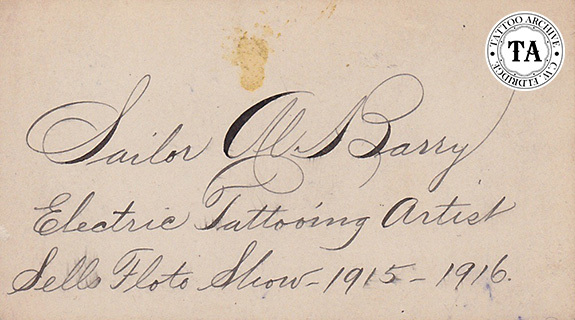 The Sells-Floto Circus generally operated with sideshows, which featured many tattoo attractions. Betty Broadbent worked with Sells Floto during the 1930 and 1932 seasons. The Archive also has records of Jack Orr and Sailor Al Barry working with the show.